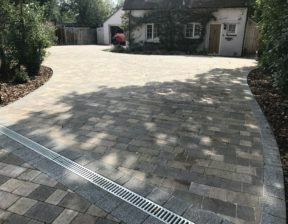 We are proud to have won at the Regional Marshalls Awards for Best Driveway Transformation over 70m2! As a company it is an honour to be acknowledged with award wins and this month of January has been an award winning one! With another regional Marshalls award under our belt and being named of Houzz best of customer service 2019 this is a great award winning start to the year! Why are These Awards so Important? Winning awards consistently year on year is a part of our Aura Landscapes business plan. 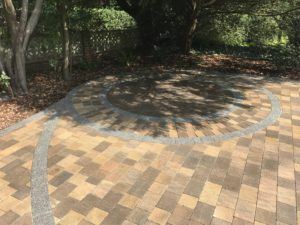 We want to show our clients, and potential clients, that we deliver upon our promise of installing hard landscaping to the highest standards and to quality design. An important aspect in any business is the customer service so to be recognised for this just shows our commitment and service delivered to our customers is on point. Houzz®, is the leading platform for home renovation and design. We were chosen by the more than 40 million monthly unique users that comprise the Houzz community from among more than 2.1 million active home building, renovating and design industry professionals. “As a company this is the 14thregional award we have won for our installations with Marshalls and this is the third year running that we have won best of customer service on the Houzz platform. Best of Houzz is a true badge of honour as it is awarded by our community of homeowners, those who are hiring design, renovation and other home improvement professionals for their projects,” said Marcus Hartwall, Managing Director of Houzz UK and Ireland. “We are excited to celebrate the 2019 winners chosen by our community as their favourites for home design and customer experience, and to highlight those winners on the Houzz website and app. With over 1,000 members on the Marshalls Register of Approved installers and over 700 projects entered in our region, to win an award is an accolade worth shouting about!